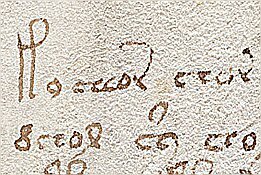 This would seem to fit well with the Voynich script as I analyse it – the word would then be read: K A ? O A R, the unidentified symbol possibly being a vowel of some sort. I aim to research this more fully, but any other suggestions or comments in the meantime? Just to be up to date. After the initial and tentative proposal I made a full analysis of the folio and concluded that while other plants are included in it, the base or defining group are elms. That full discussion, with comparative imagery and its explanation, identification and explanation of the mnemonic devices, plus the usual things – the appropriate historical context, stylistics and so forth is contained in a series of posts at voynichimagery.wordpress.com – the series being entitled ‘Clear Vision’. I find it hard on your site to find things, but is this the start of the Clear Vision blogs? I think it’s a borage plant, borago officinalis, a widespread plant in Italy, well known for its medicinal properties. The flowers are usually blue, but in my garden some plants have blue and pink flower. It is bristly or hairy all over the stems and leaves and in english it’s also known as a starflower (Wikipedia). 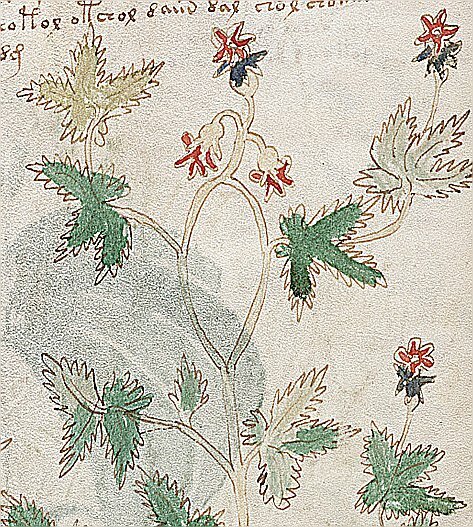 Hello to Voynich Manuscript research. pharmacological dose…as indicated in term. Blue vessel, dose indications also page 69. The archer, page 74, indication of conception….in child bearing aged female. Notice page 77, the attention to detail of female follicle, female blue (uterus). progress. 81 to 83 ..notes on dose cohort. 84. Note the return to blue.. a clear dose linked exemplar. 85. Tiny outer ring. Moon line at 4 each. Interior blue ink at 4. 8 moons of progress in pregnancy.? Page 86 dose placement at placenta? Note blue feature, uterine likeness. My personal view is within a pharm species dose link specific to midwife. prep notes in dark blue, above …light blue below. 103 . star interior, filled, unfilled, as critical data referenced by chart, previous. To research members, I have simply shared my personal opinions and views. be end use of demonstrated data. I transcribe this simply as KACHUR which is white turmeric, zedoary or curcuma zedoaria. I have never published a post on this folio, because usually I consider the internal evidence by cross-reference with external evidence, and in this case the latter is meagre. 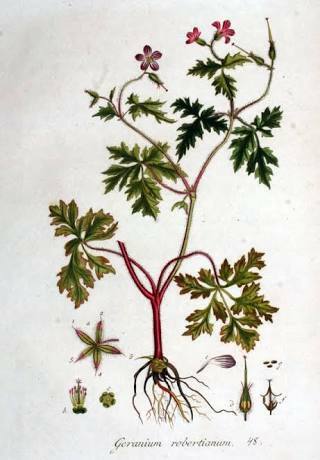 However, in addition to the plant’s habit which is not drawn as a soft-spined sort of plant but as a springy-looking shrub or tree, we have to account for there having been included here at least one, and possibly two forms which are mnemonics. The less certain is the beetle-like shape given the root. More certain is the anthropomorphic form seen balancing on the upper section of the drawing. So any explanation of the drawing must also explain reasonably well why the ‘dancing’ figure is here. Resorting to ideas about whimsy or pure ornament don’t explain, but merely explain away the presence of so many similar (and I think mnemonic) elements in the botanical section’s drawings. Looking more closely at that human looking figure, you see that its ‘hands’ are drawn as if they were twiddling or twirling short sticks (perhaps as some people twiddle their pens?). Given a similar red star-like form at the head, I’m inclined to describe this figure as a fire-dancer of some sort, and their number in medieval Latin Europe was not great – fewer still when you consider how few regions of the older world had fire-dancers who carried fire also on their heads. But there are some. I think the group on folio 5v include Ochna obtusata and possibly that known as ).lucida etc. which was used for making sticks and so forth. Ochna obtusata.. native of the East Indies. This tree is called Bokacrae in Ceylon and Yerrajuvre by the Telingas. O.lucida; leaves obovate or oblong-ovate, acute serrated. Native of the East Indies. I have not referred in detail to O.lucida (Lam), because the taxonomy is unsettled. PS – I do hope nobody will argue this a marsh-gas man, but as you must..
Hindi – Gulkhaira, Khaira, Kajhor <— ! Family: Malvaceae Origin of Species: Europe Habitat: In salt marsh. able so add something useful i hope. Just going by appearance and my Syriac theory, that “unknown” spot would be an “h”. I didn’t know about this word when I came up with that, but now I see here that the sound fits.